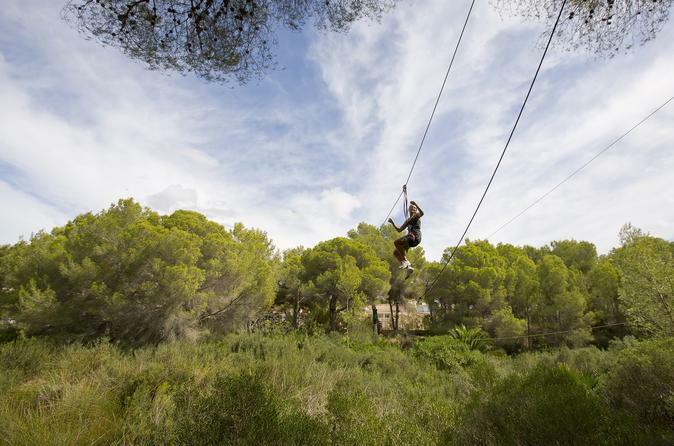 Take on a double high-flying forest challenge with a combo ropes course at Jungle Parc in Mallorca. Test your strength and balance on as you cross the treetops of a pine forest just inland from Mallorca's famous beaches in Santa Ponsa. Get access to both the Explorer and Extreme circuits, featuring ziplines, suspended bridges, swinging vines, and other adrenaline-pumping means of crossing between more than 80 treetop platforms.